Good things are happening in the world of New York history. Maybe not as many as we would like, but at least some signs of change are in the air. 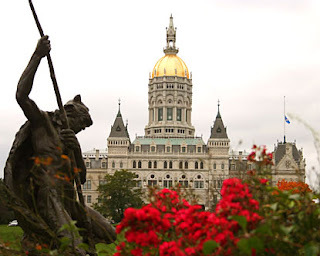 In this post, I would like to mention three events at the state, regional, and local level all in the Capital District that represent positive actions on the New York history front. In response to my post Promoting Community Identity (February 16, 2012), David Hochfelder, Assistant Professor and Associate Director, Public History Program in the Department of History SUNY Albany, sent me an email with the support of Robert Weible, the NYS Historian and a contributor here, about an exciting addition to the annual Researching New York conference held at his school. Normally this conference is for scholars, both professors and independent scholars. The proposed conversation at the end of conference on November 17 would be on the present state and future of public history in the State: &#8220The goal of the workshop is to bring SUNY faculty from around the state in contact with public historians working in various locations and settings.&#8221 The program is still in the planning stages but would include participation by the APHNYS both officially as an individuals at the county and local level. 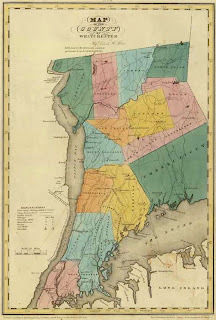 This represents an excellent step towards bringing together the diverse history communities in the state all of whom tend to have their own state conferences such as the upcoming Association of Public Historians of NYS (APHNYS) conference in Long Island in April. It is exactly this kind of cross-pollination which this website has been advocating. In my response to him, I recommended contacting the Capital District Council for the Social Studies and NYSED about participating as well. Although I was invited to speak, I regret that I will be in Chicago that day presenting at a conference on the origins of ancient Israel before they came over here and became the Iroquois!. This addition shows what is possible with other state-wide conferences as well. While this particular conference meets annually in Albany, other state conferences rotate such as the New York State Council for the Social Studies in Saratoga (which I will be attending). This means in any given year, there is a good chance that some state-wide conference will be held in you area. If each one had this type of program as proposed above, then the issue of travel costs would be minimized. 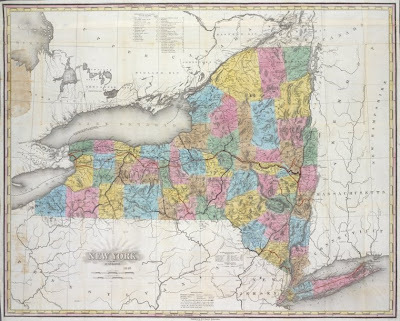 Even if you couldn’t attend a conference in Albany, you might be able to in Long Island, Westchester, or Rochester, for example, provided the time was set aside to reach out to the larger history community audience. In response to the same post, I also received an email from Don Rittner, the Schenectady County and City Historian. He is one of the possible speakers for the state program in November. He is now planning the H4 Summit for July to bring together historians, archaeologists, planners and politicians to discuss the plight of historic preservation in the four county area. Again, an example of the cross-pollination and cooperation that is absolutely essential. He is even considering expanding the conference to a two-day event. This type of conference normally involves day travel by car and suggests the type of regional conference which can be held among neighboring counties throughout the state. Partners for Albany Stories links diverse historical organizations with community to develop a more engaging and complete Albany story. The conversation will focus on the collaborative process and community outreach. Other sites not listed also are part of this partnership. Hopefully such collaborations will be the wave of the future. I do not claim to be privy to all the collaborative and cooperative projects underway in our large state, so if you have an example to share, please do so in the comments or to me directly. 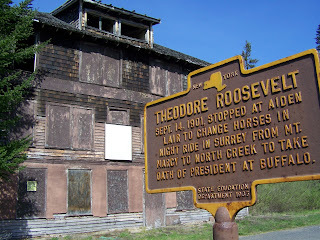 When I return from the New York State Social Studies conference, I hope to provide an update on the common core curriculum which will be discussed by NYSED at the conference and the status of professional development programs for teachers which for me has meant bringing teachers to historic sites. And of course, there is the new initiative on state historic signs which provides for many opportunities. So let this be the beginning of our History Spring. Peter Feinman founder and president of the Institute of History, Archaeology, and Education, a non-profit organization which provides enrichment programs for schools, professional development program for teachers, public programs including leading Historyhostels and Teacherhostels to the historic sites in the state, promotes county history conferences and the more effective use of New York State Heritage Weekend and the Ramble.